Όπως αρκετά online παιχνίδια, έτσι και το Call of Duty: WW2 έχει ξεκινήσει με προβλήματα. 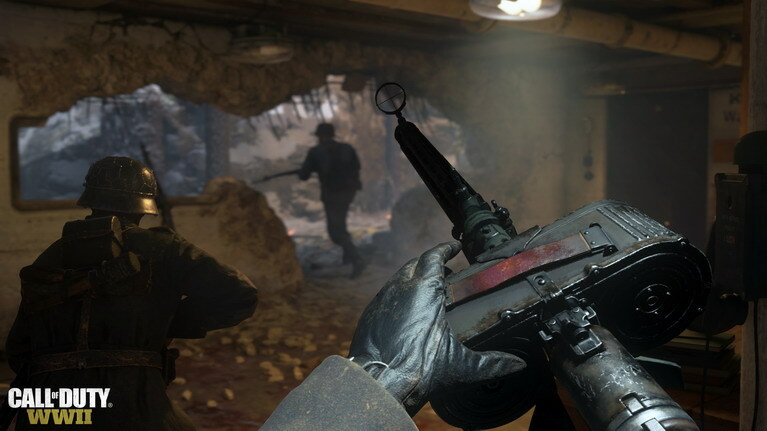 Το online multiplayer του Call of Duty: WW2 μαστίζεται από τεχνικά θέματα, τα οποία η δημιουργός Sledgehammer Games ακόμα δεν έχει καταφέρει να λύσει. Τουλάχιστον το στούντιο δουλεύει πυρετωδώς για τη βελτίωση της κατάστασης και κρατάει τους παίκτες ενήμερους για τα βήματα που γίνονται. Δείτε παρακάτω τις νέες αλλαγές/βελτιώσεις που γίνονται στο multiplayer του Call of Duty: WW2 όπως ανακοινώθηκαν από τη Sledgehammer και πείτε μας για την δική σας εμπειρία με το παιχνίδι! Online Connectivity – While our previous Game Update which released early Friday solved several critical needs, unfortunately it also had an adverse effect on server performance. As a result, we moved to P2P (listen) servers. Overall, the game is stable, however we know that P2P brings things like Host Migrations and other issues that make for inconsistent gameplay experiences. Our objective to return to dedicated servers is our highest priority. Dedicated Servers – This weekend we rolled out various test solutions in limited markets in order to fully analyze real-world conditions without risking disruption. This level of data and diagnostics is helping us work toward a permanent solution as quickly as possible. We’ve begun to test dedicated servers today in the US. We’ll watch this test closely, and once we analyze the results we’ll look to expand. Game Disconnects From Server - After much testing, our engineering teams identified the root cause of this issue, which can also result in lost stats and post match lobby freezes. Later tonight, we plan to deploy a patch across both consoles worldwide. We’ll monitor the results, and keep everyone updated. Headquarters – As we focus on the return to dedicated servers as our highest priority, we will continue to utilize a solo-HQ experience. Players can still invite friends, which we encourage everyone to try. But we get it, HQ is best enjoyed with a thriving, fully populated social community interacting together. So hang in there while we address the most pressing concerns first. We also want to reinforce our commitment to PC fans. We have the next PC Title Update ready to go, but we believe we need to work through the issues noted above first – many of which also affect PC players. For this reason, we’ll wait a bit longer before deploying the patch to the PC in order to ensure everything is the way it needs to be first.